The following side dish is one of our most popular treats with guests. It adds a little bit of sweetness to savory breakfasts and also goes well with popovers. 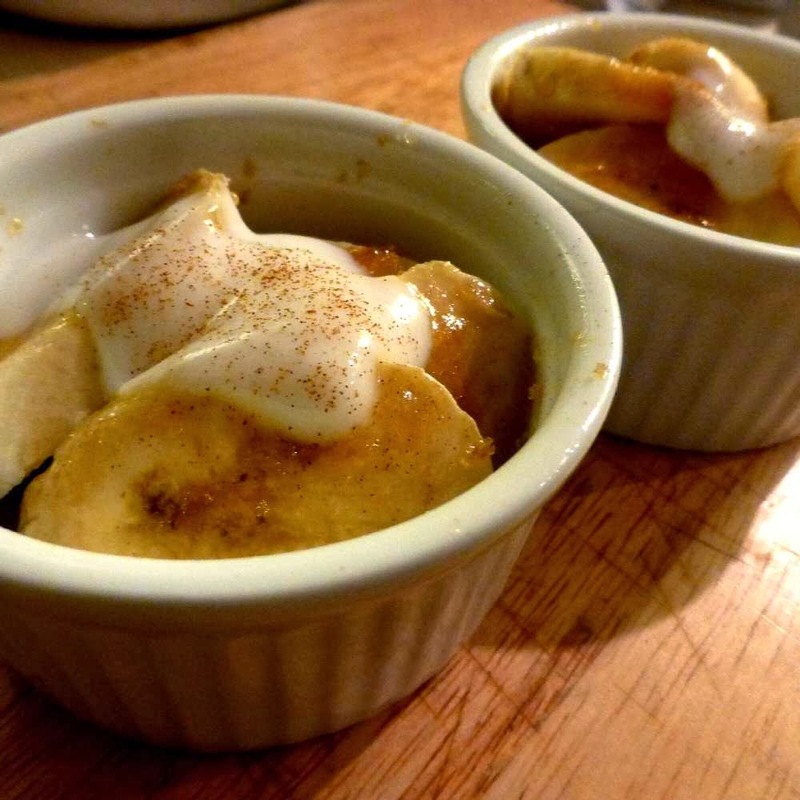 If you like bananas, give this easy recipe a try! It’s also simple to make in smaller (or larger) quantities. 2. 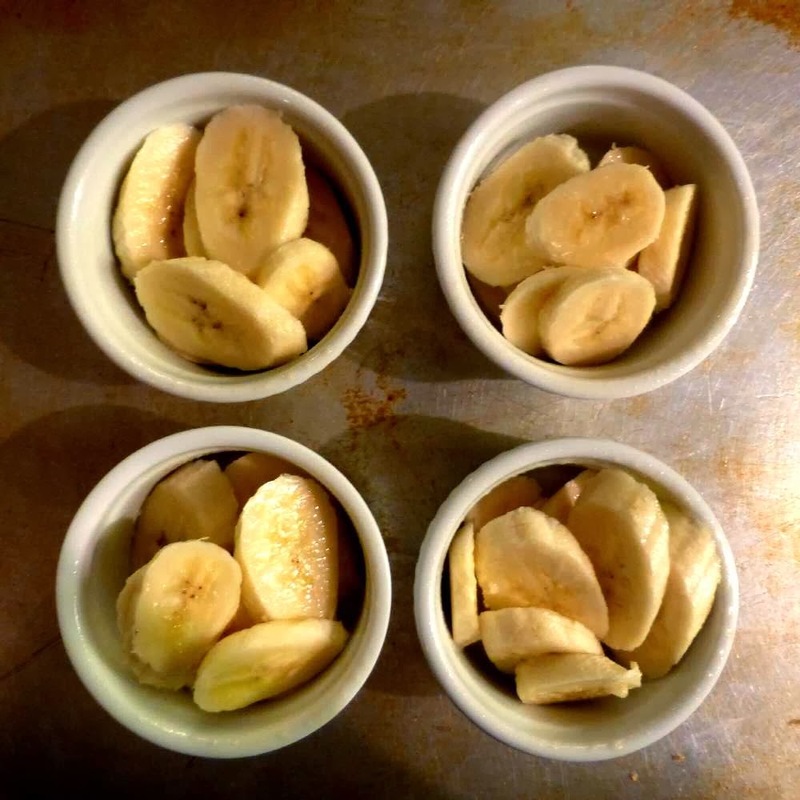 Spray individual ramekins or an 8×8 baking dish with non-stick spray and stack/pile bananas. 3. Spray bananas with butter spray or brush with melted butter. 4. Cover/sprinkle bananas with brown sugar. 5. 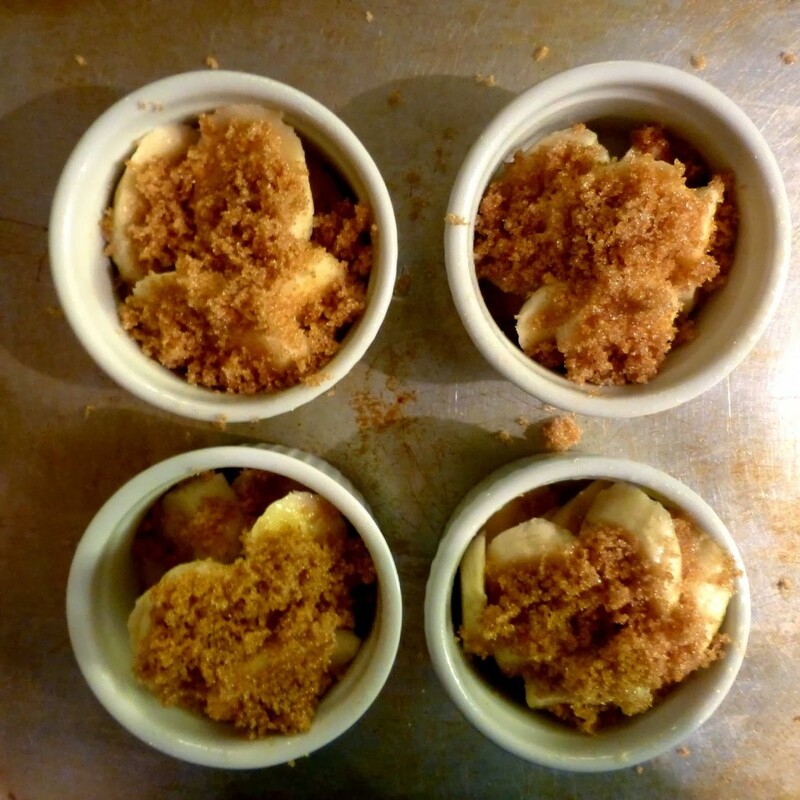 Bake for 10 minutes, until the brown sugar creates a nice glaze over the bananas. Bake them too long and the bananas will be ash gray and mushy (and this is also why we don’t use ripe bananas in our recipe, because they tend to become mushy when baked). 6. Cool for 2 minutes and then dollop vanilla yogurt on top, finally sprinkling cinnamon on top of the yogurt. Letting the bananas cool for a couple of minutes is an important step to keep the yogurt from turning into a liquid and sliding off the bananas to the bottom of the dish. Innkeeper Note: In the summertime, we will sometimes add in diced fresh peaches for a yummy summer baked fruit combo.